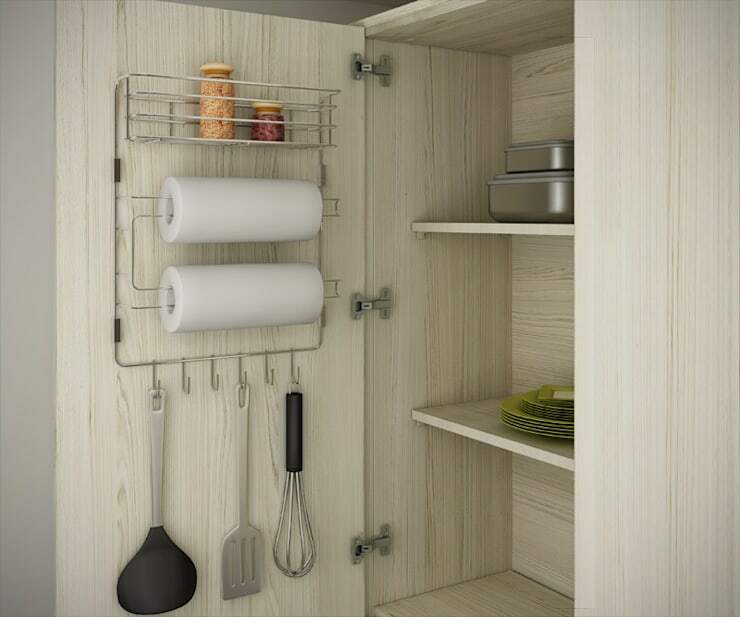 A hanging rail is a must in a small kitchen. A wall can contain all sorts of weird and wonderfully-shaped kitchen accessories and will free up your closed storage cabinets. It could also turn into a lovely decorative feature as well. Most of us will very rarely use all four burners on a cooktop at once. So consider a half-sized cooktop. As a bonus, this also means you only need a half-sized exhaust hood as well! 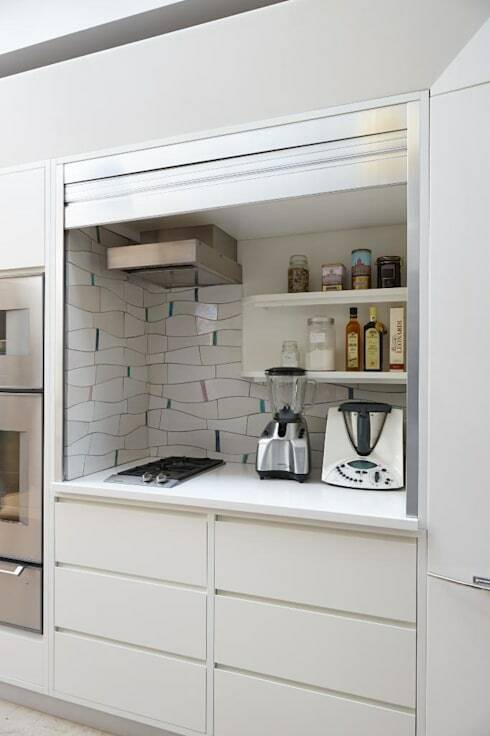 That sliver of space behind the doors can easily be turned into an awesome little spice rack or extra storage. If you are renting, all you need to do is invest in some shelves that hang over the door. 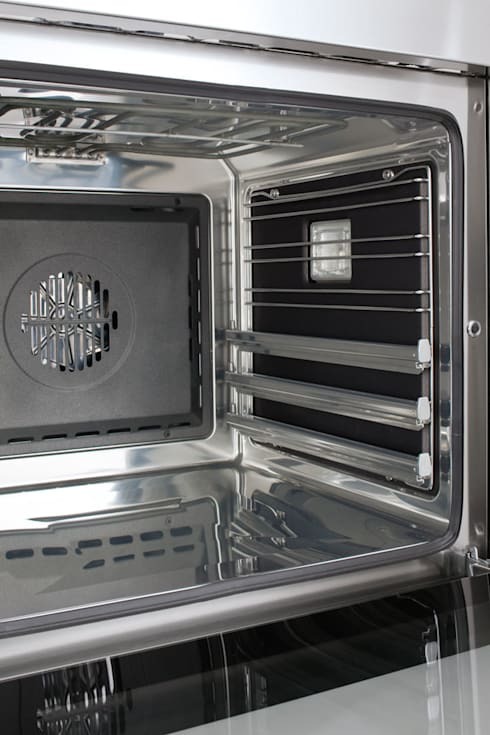 Convection ovens have come a very long way in recent years. So there's really no point having both an oven and a microwave. Ditch them both and invest in a convection oven—you can even bake cakes in them these days! Kitchen planners say that people most often complain about not having enough countertop workspace. So any sort of clever way around creating extra benchspace is a must. A fold-out or slide-out benchtop will be worth its weight in gold! A small table on wheels is another alternative. 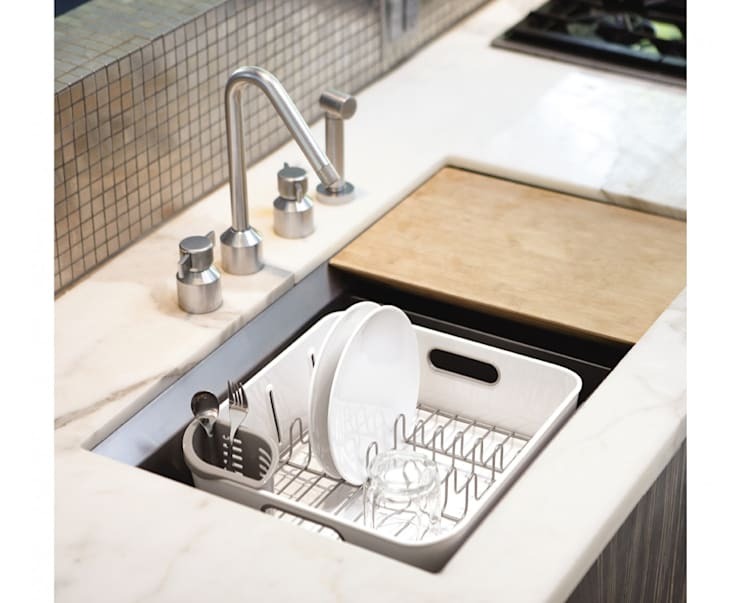 Avoid wasting precious benchtop space by investing in a chopping board that will fit over or slot into your sink. Similarly, consider a dishrack that can do the same. Static shelves waste an absolutely enormous amount of space. They can also get messy because those hard to reach corners are difficult to clean. Sliding drawers are a much better alternative. 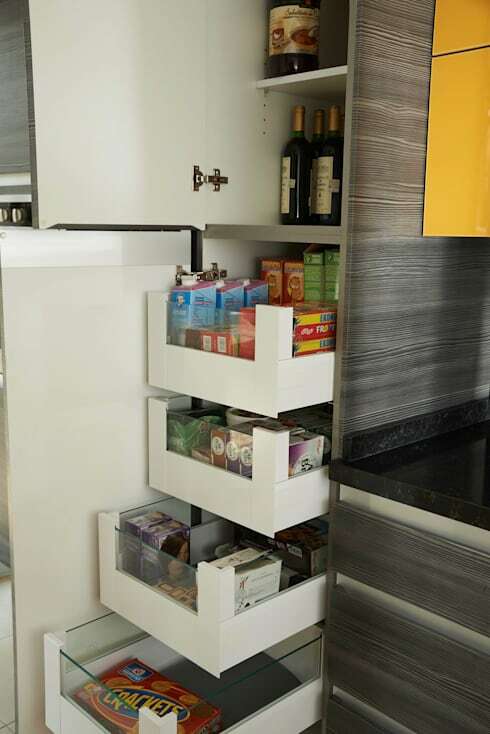 They can be easily installed into an existing cabinet and will revolutionise the way you use your space. 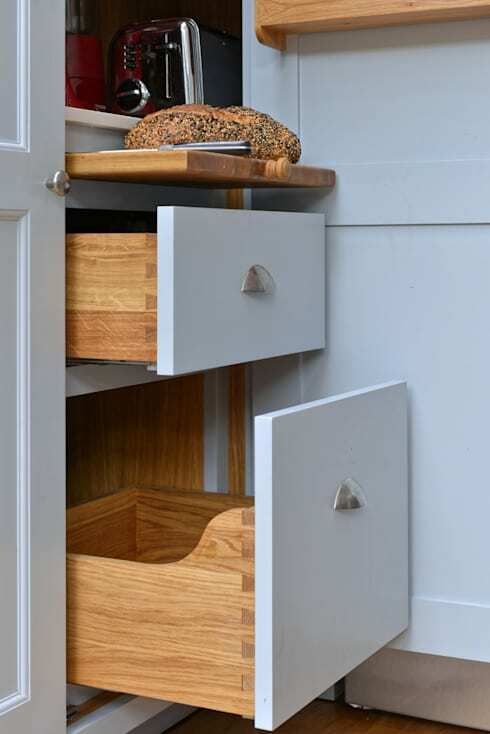 They are particularly good for base cabinets because they'll allow you to see into every corner quite easily. Let's not forget that a small kitchen should be stylish as well. 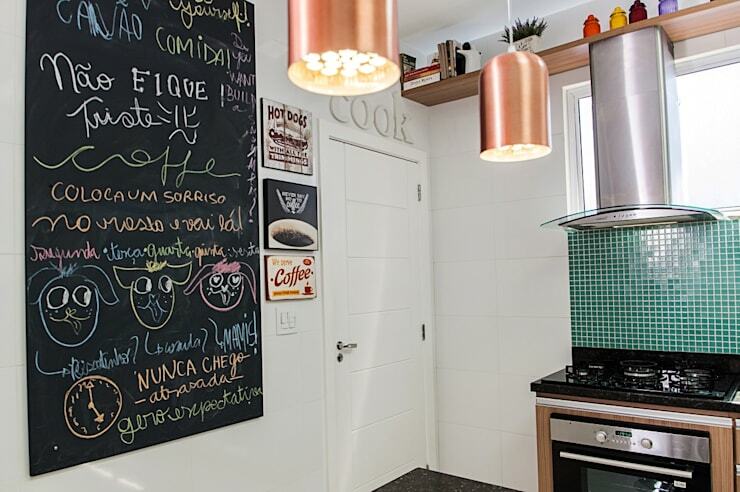 Small pendant lights are one of the best ways to utilise that important vertical space in a small kitchen. They can also be used to create a zone around a small eating nook or breakfast bench. Now the kitchen is sorted out, perhaps it's time for a little small living room inspiration with: 10 furniture essentials for a small home. If you have any other tips for furnishing a small kitchen, please let us know in the comments field below!